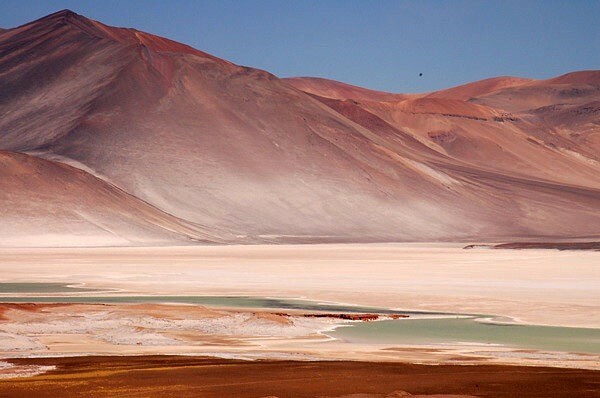 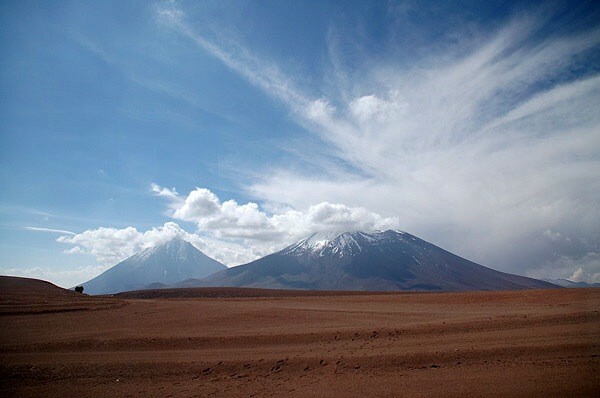 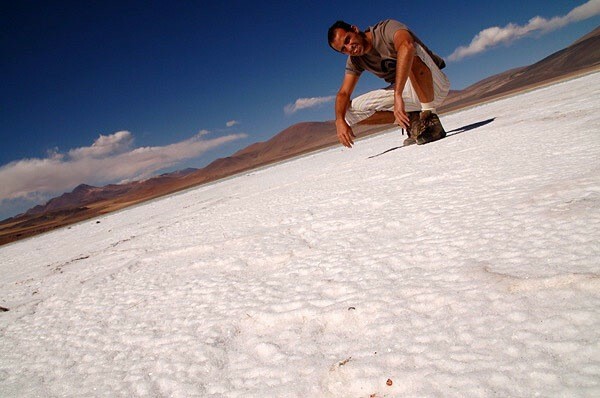 The Atacama Desert is a virtually rainless plateau in South America, covering a 966 km (600 mi) strip of land on the Pacific coast of South America, west of the Andes mountains. 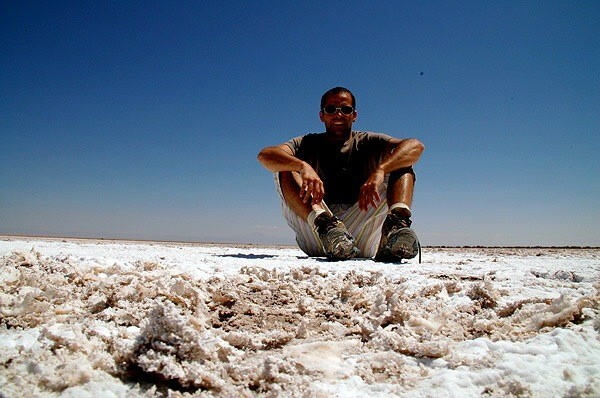 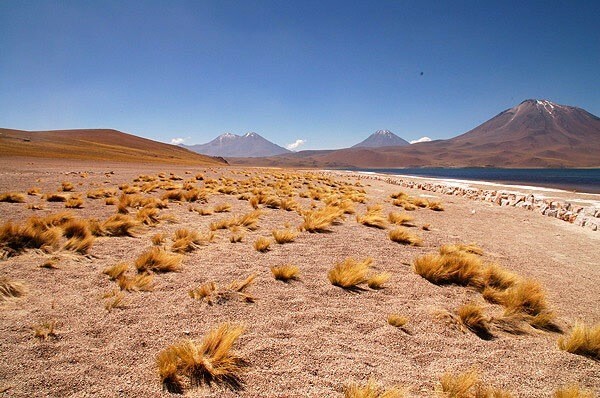 The Atacama desert is, according to NASA, National Geographic and many other publications, the driest desert in the world. 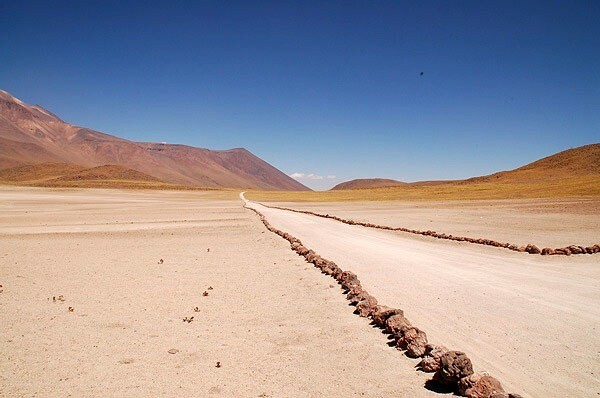 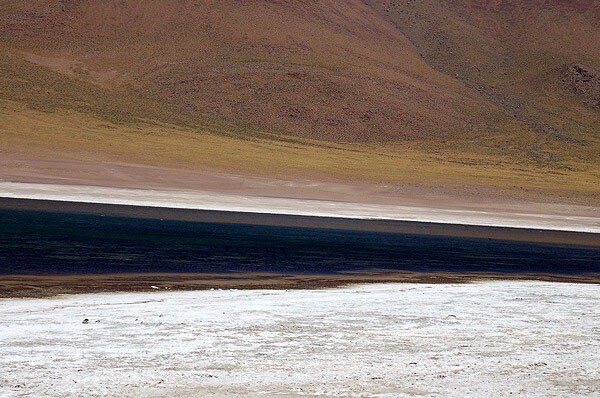 The rain shadow on the leeward side of the Chilean Coast Range and the Andes, as well as a coastal inversion layer created by the cold offshore Humboldt Current, keep this over 20 million-year-old desert 50 times drier than California's Death Valley. 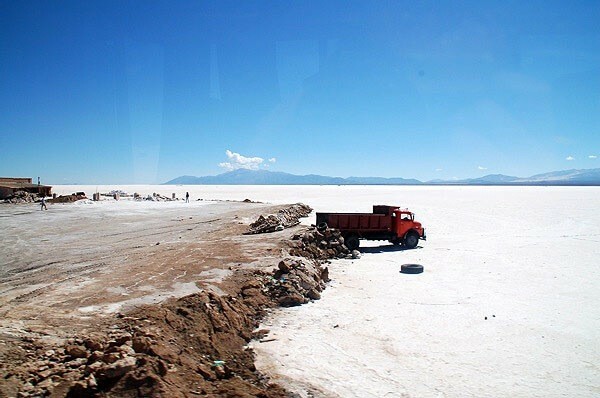 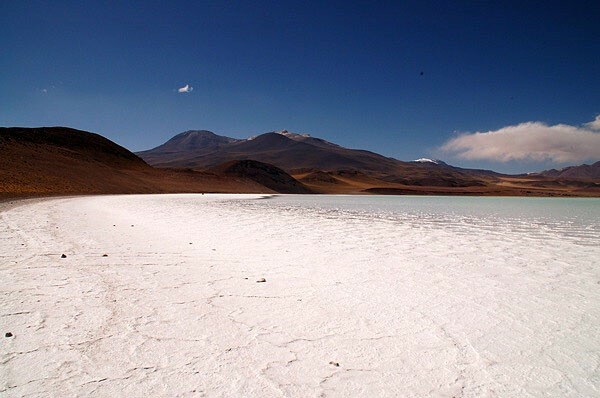 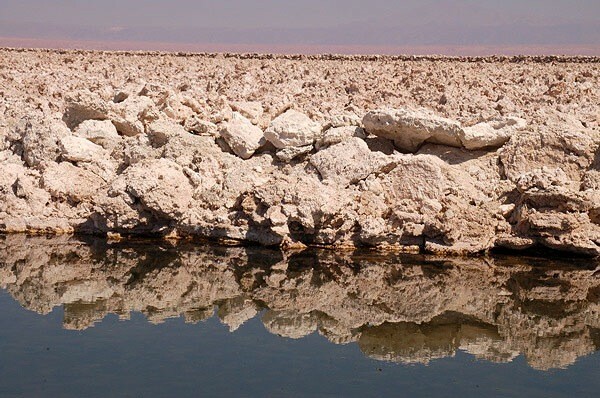 The Atacama occupies 181,300 square kilometers (70,000 mi²)bin northern Chile, composed mostly of salt basins (salares), sand, and lava flows.